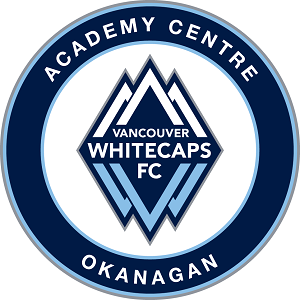 Kelowna Youth Soccer encourages all its volunteer coaches to be certified. under the BC Soccer Long Term Player Development Program (LPTD). Courses are offered which will improve their understanding of the coaching process, and specifically their ability to coach soccer. Costs of these courses are reimbursed to coaches. Head coaches who become correctly certified for the level at which they are coaching will receive a $100 refund of their child's registration fees for that season. The National Coaching Certification Program (NCCP) prepares coaches for the responsibilities associated with coaching athletes of all ages and abilities. Training and certification is based on coaching streams (community, competition & instruction) and contexts that reflect different types of coaching. Within the competition stream, the theory context has been packaged into a new Competency Based Education and Training (CBET) program that includes two 12-hour courses called Introduction to Competition Part A and Part B. For more information on the new CBET Program, visit www.coaches.bc.ca. While KYSA strongly supports and encourages its coaches to take NCCP courses for their own personal growth and development, we will not be providing any funding in this area. COYSA will reimburse the fee to our coaches upon completion of the course. KYSA believes we can get the most bang for our coach support buck by organizing clinics specific to particular age groups (eg U6, or U9/10), or specific to particular skills (eg goalkeeping, attacking systems, etc.). We are currently in the process of determining what clinics to offer, then booking clinicians and facilities. These clinics will be provided free for our coaches. Sessions will be structured for different levels of play. More information about how to register will be sent to coaches, and posted here, as soon as confirmed.